Ibrahim Ayid, of the village of Borin near Nablus, says he cannot complete construction on his home because it has been attacked three times during the past week by settlers. 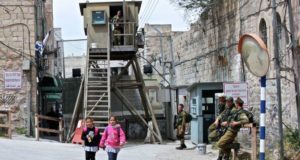 The IDF stated that a number of incidents have occurred on the scene and that forces had to prevent physical violence from breaking out between Palestinians and settlers. Ayid said that on Wednesday three settlers, one of them armed, had arrived at the construction site to threaten him. “The settlers came down to the house, took apart the wood intended for construction, broke the water containers, and vandalized the property. They also threatened and chased away a tractor driver and electricians working there,” he recounted. He said the previous incidents had occurred on Tuesday and Saturday of the past week. “They get backing from the settlement’s security guards. 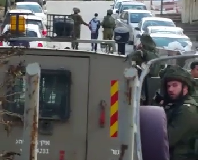 The goal of the army alerted to the scene is to peacefully chase away the settlers, by firing tear gas at us. This time the soldiers came as well, but they did nothing against the settlers in the village,” Ayid added. Meanwhile, Palestinians are claiming that settlers from Gilad Farm set fire to a field in the village of Jat. They claim the settlers also cut down olive and fig trees and afterwards destroyed a field of tomatoes.